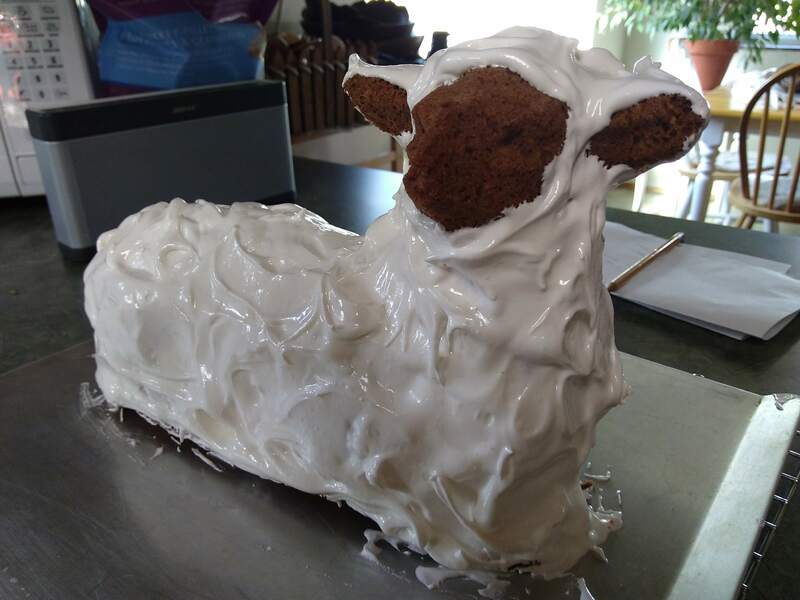 Lamb cake #2 is a winner! 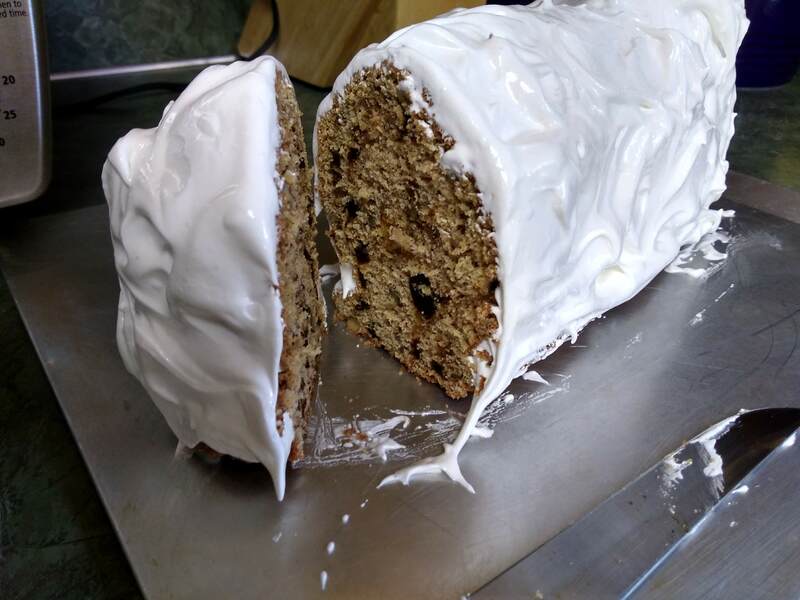 Same recipe as last time, but only filled the face side of the mold even with the edge, and baked for a full hour. 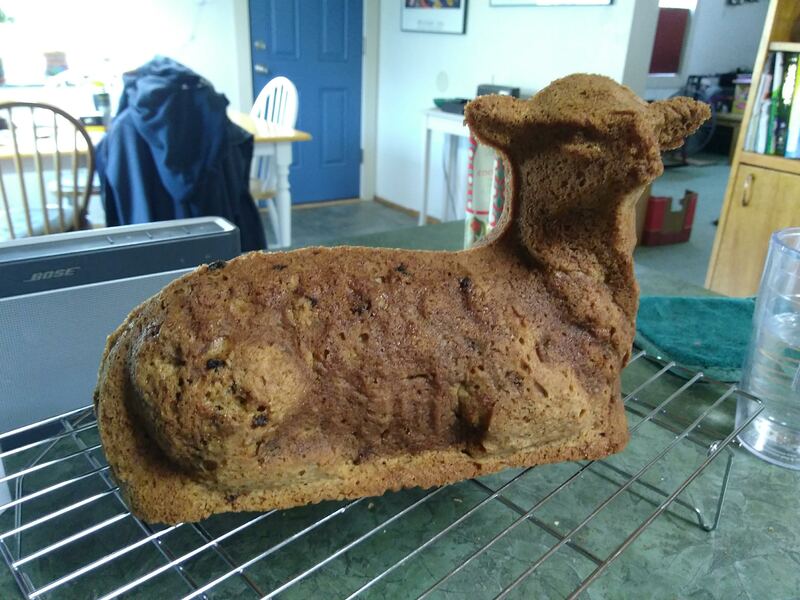 Also incorporated a tip from a vintage cast iron site– flipping the mold after half the baking time. It’s lovely white fleece is a marshmallowy meringue frosting. Yum. 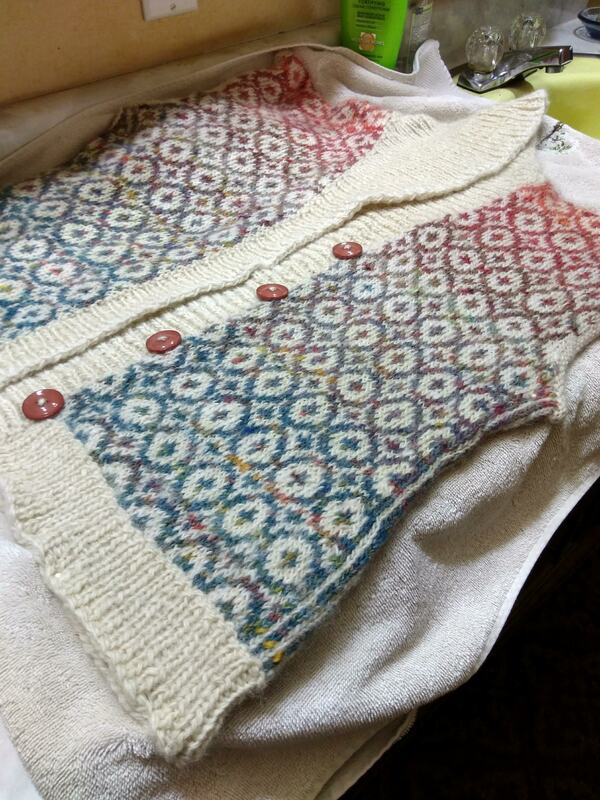 The Fabulous Technicolor Dreamvest is blocking! I found the perfect buttons a few days ago, and sewed them on last night, but I’m kind of thinking that I might go back and rearrange them to use five rather than four. Odd numbers are somehow more satisfying to me. This weekend was so warm and beautiful. Both Esther and Dottie have started to hint that they’d like to take their heavy coats off….. I know- I can’t wait until it’s dry and ready to go. Might have enough cool weather left in the season still where it gets a little use! A yummy cake and beautiful vest – those buttons are perfect. Gorgeous cake and vest! Great job on both.